It doesn’t matter where you’re from or which language you speak: everyone understands great food. Widmann Restaurants has embodied this idea since 1989 and continues to succeed in enriching the culinary scene in Germany with their eight wildly popular restaurants. Whether you prefer Italian, South African, or Argentinian food: there’s a little something for everyone at Widmann Restaurants. But culinary diversity isn’t the only something diners get at Widmann Restaurants. Customer satisfaction is just as important to the company as other key aspects, such as the quality of the food or remaining true to their dishes’ cultural origins, which is why guests can always expect excellent service quality from them. 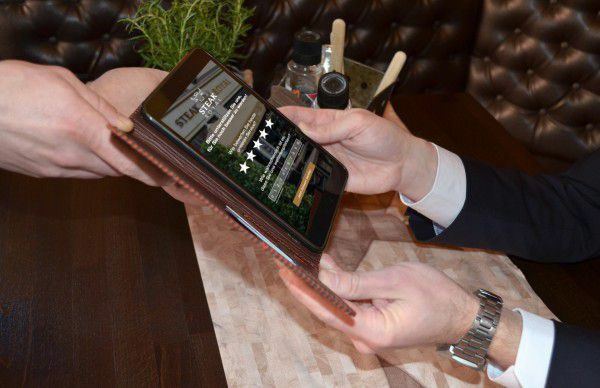 In order to consistently maintain their high standards in their wide range of locations, Widmann Restaurants required a suitable solution which would enable them to continuously monitor customer satisfaction in every one of their eight restaurants at the same time. Another requirement was the ability to enable individual employees to view customer feedback to give them the opportunity to assess their own performance. After all, employee satisfaction is also an important topic for Widmann Restaurants, which is one of the main reasons why the restaurant staff was included in the quality improvement process. Feedbackstr’s Enterprise Feedback Management solution was implemented in all 7 of Widmann’s restaurants which existed at the time. From the very beginning, the system continuously delivered plentiful amounts of data to conduct a substantial customer satisfaction analysis. Customer feedback is currently collected through small flyers on which the link and QR code to the satisfaction measurement are printed. The flyers, which are designed to match each restaurant’s CI, are handed directly to customers and can also be found on all tables and counters. 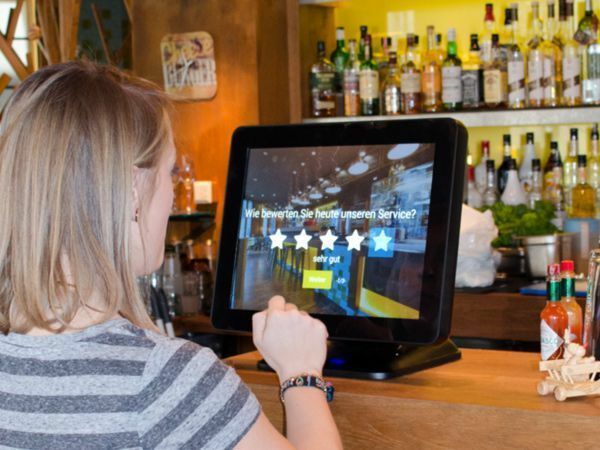 In addition, two restaurants use tablets to gather even more customer feedback. Another significant factor for success is how customers are addressed when being given a feedback flyer, which is why an employee briefing was held to explain to staff why customer feedback is so important and answer all of employees’ questions. In addition to thorough training, a custom-made employee guide was handed to Widmann Restaurants’ teams to ensure that everyone, including management, kitchen employees, and waiting staff, is all on the same page. Widmann especially profited from the introduction of a feedback terminal in one of their many restaurants: the additional feedback channel increased their response rate by 43%! The results were so successful that the usage of terminals is already being planned in other restaurants. Sustainable Customer Satisfaction and Beyond! The new addition to Widmann Restaurants’ customer service was welcomed by restaurant guests, as is reflected in the sheer amount of feedback they receive on a daily basis. The company sustainably continues to collect very positive, yet constructive customer feedback. The sentiment among diners has now become an integral part of discussion in every team meeting and is often used as a mean to boost employee morale. In fact, Widmann Restaurants was so enthusiastic about the insights their customer feedback offered them that they immediately decided to implement Feedbackstr in 1 more restaurant which was opened after the initial planning phase to be able to view all of their customers’ feedback on one centralized platform. Widmann Restaurants is already planning improvements based on the customer feedback they receive, once again proving to diners that their opinions are important and leading to a noticeable increase in customer satisfaction!